Here’s something that looks promising, Bethesda has just announced BattleCry, an upcoming Free-to-Play third-person brawler which has teams of World War 1 era soldiers fighting to hack each other up into tiny bits to settle confrontations on a global scale. Noticed I said hack and not blap. BattleCry is set during an alternative timeline where -following a particularly catastrophic World War- the world’s governing leaders have powwowed up a plan to wage war against each other in a more up close and personal style without the use of gunpowder at all. Known as the Black Powder Treaty, the plan calls for both sides to fight each other in designated areas called WaZones. Up to 32 players may compete for their faction of choice in these WarZones although Bethesda hasn’t made it clear how many factions may fight in a given match at once. According to Polygon Bethesda has currently revealed two factions, the Royal Marines and the Cossack Empire with a third yet to be unveiled. As a fighter within these WarZones, players will have access to an ever expanding list of classes, each of which offers its own unique playstyle, weaponry and special abilities. It’s at this point you may feel a slight tinge of familiarity as classes in BattleCry have access to three unique abilities and one special ultimate similar to other “MOBA-like” titles. However these abilities are only available after a player builds adrenaline which comes from basic combat which appears to be anything but basic. According to the official site, BattleCry features dynamic movement giving you the tools needed to “seamlessly grapple, evade and mantle to quickly cover distances and evade the other team”. Combat is said to be responsive with smooth controls allowing players to unleash violent, high-impact combos. Despite a lack of gunpowder there are still ranged classes available in BattleCry. The Archer for example, utilizes either a longbow or dual crossbows depending on the faction while the Gadgeteer employs a rail gun rifle. The brawler utilizes a pseudo-diesel punk approach with classes having access to retro-futuristic technology like hulking steel arms and advanced electrical gadgets. BattleCry’s artstyle is very reminiscent of Team Fortress 2 which makes sense given TF2’s style was modeled after early 20th century American illustrations. 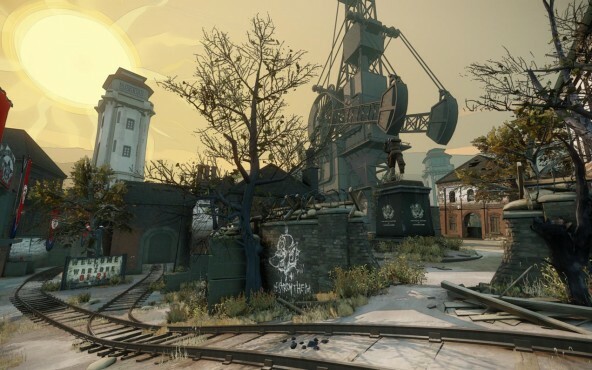 The game’s art direction is being headed by Viktor Antonov who was the visual designer behind Dishonored and helped define Half-Life 2’s art style including the famous City 17. In an effort to promote good warmanship players can salute their opponents after each match and even award them medals for their bravery and heroic efforts. After each match players accrue Iron, which serves as BattleCry’s currency and is used to unlock new class customization options including new abilities and most likely additional crafted cosmetics. 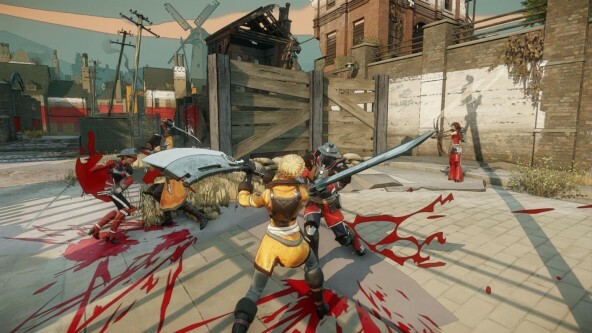 BattleCry is still a ways off with the closed beta slated for sometime next year. You can follow the game’s development over at the official website here. the setting looks like its more wild west themed while the costumes look like they are from the 1870’s. Not WW 1 themed at all. According to the devs it is suppose to be set around the same time period of WW1 but in a universe where gunpowder isnt being used. That’s probably the same universe where Julia Timoshenko is beheading knights with a huge sword… I don’t get how can they relate any of it to WW1. Even to WW1 era. The whole concept looks like such a disgrace. It’s so stupid that it’s borderline insulting. They should have avoided any mention of WW1 whatsoever. Even though gunpowder is not being used, it still doesn’t look like WW 1 at all. Maybe it could pass as being themed in the early years of the war. ( 1914, Before trench warfare became the norm and the soldiers still wore brightly coloured uniforms ) but thats kind of pointless, since WW 1 is famous for its trench warefare, grey and khaki uniforms and steel helmets. i think it sux cuz u cant make a own char. It actually looks quite fun… I’m surprised. Looking forward to this. Lol fail. Those screems have 0 WW1 related content. Was that a typo? WW1 was known for cool biplanes, trench warefare and gas. Ni one has exploited a good.tactical ww1 shooter yet… This is a fail joke and games like it (offensive combat) shut down already. >_> Because its not a WWI game. You’re not fighting in WWI. Game is not related to WWI. Its the era, not the actual war. Early 1900s during the equivalent of a world war 1. World war 1 era BRAWLER? They must have been smoking some bad stuff. This is outright embarassing. And what’s with Timoshenko in the video? o_o Double facepalm. So i gues TESO didn’t work out. Actually WoW still has a stable player base and until they drop. I doubt you can call blizzard a failure. Diablo III also has its own profits, hearthstone is remarkably fun and free, Starcraft? You’re trashing that? You’re funny kid. Blizzard is making a profit in every single game, so they’re not a failure. agreed with blizzards are cold, how can you say that blizzard have failed if they are still making a ludicrous amounts of income? Hope you know he was being sarcastic, because i get the feeling you don’t know.